Happy Holidays TT & J readers! I love being part of Jen’s Holiday Series. 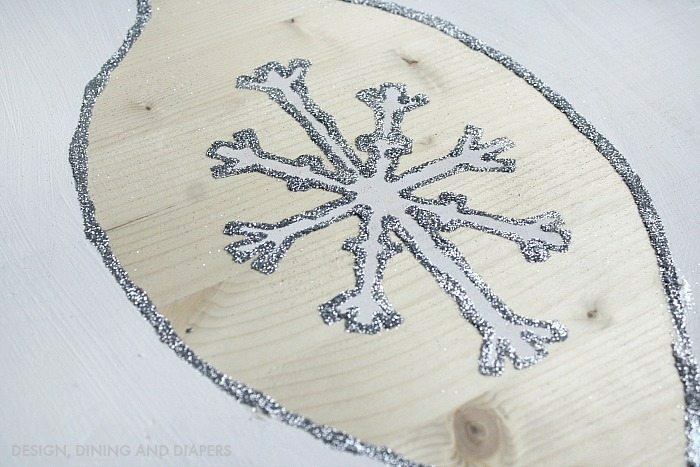 This is such a fun time of year and my favorite time for crafting. While I don’t ‘officially’ start to decorating for Christmas until after Thanksgiving, that doesn’t mean I haven’t started planning my theme this year! 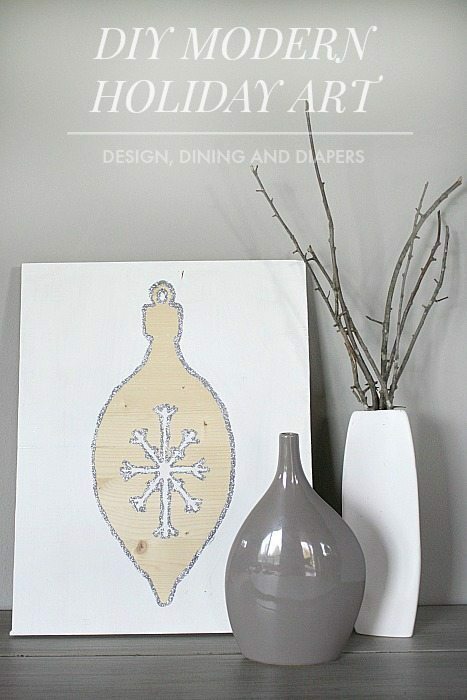 This year is all about white and metallics in our home! 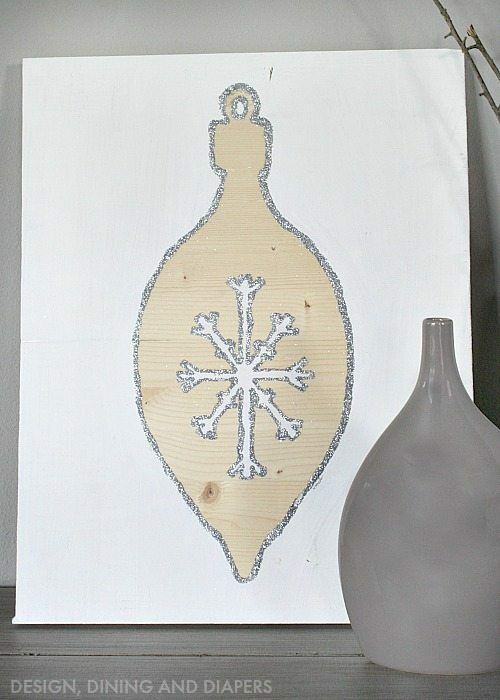 I wanted to make a few new pieces of decor this year and I started with this DIY Modern Holiday Art made out of wood. 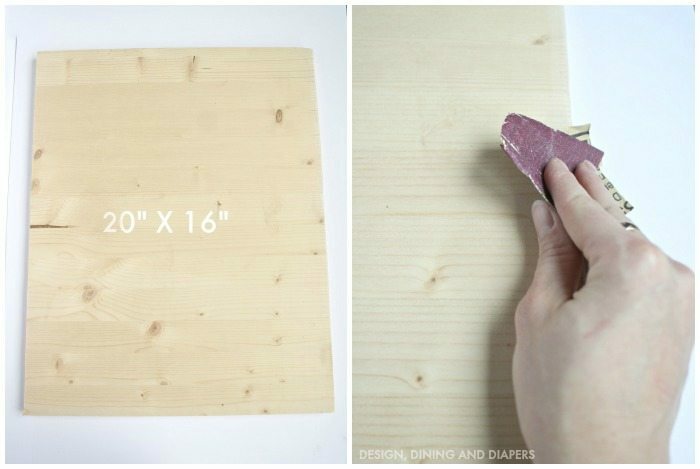 The thing abut this piece is that it’s so easy to customize and make your own. I am a neutral girl at heart but you could paint it red, green, gold, or any other color that fits into your Christmas decor. I started with a piece of 20″ X 16″ wood. I cut my piece to size, but you could also buy a finished piece of wood at most craft stores if you don’t want to cut it yourself. 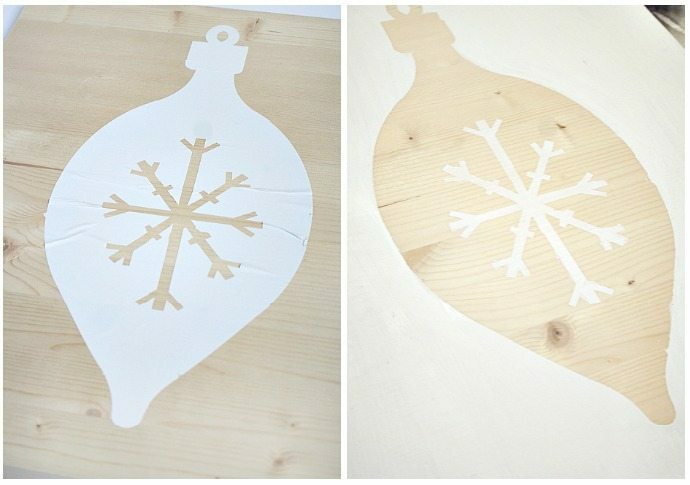 I used my Silhouette to cut out my ornament design on vinyl, but you could also use a stencil or find one on Etsy. 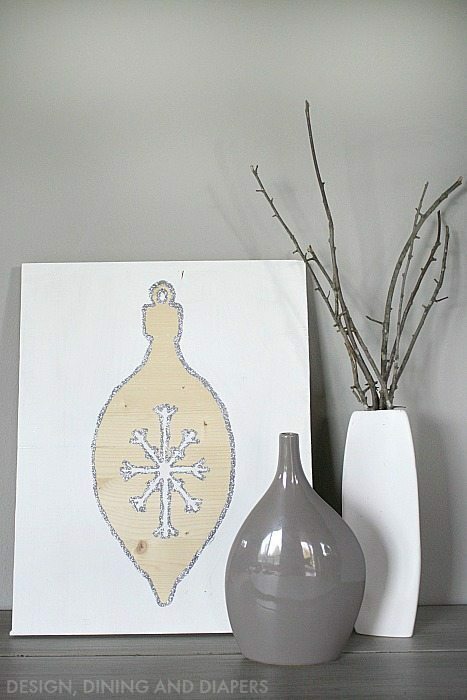 I painted the remaining areas of wood white and then peeled off the stencil. I love the reveal, it’s my favorite part! 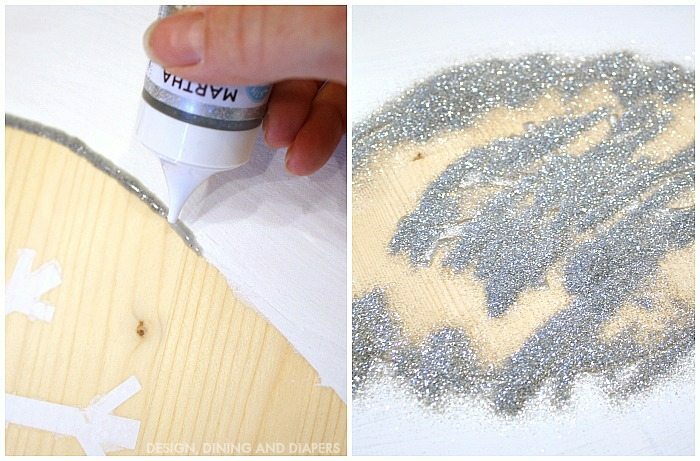 To give it a little extra pop for the holidays, I added extra sparkle on the edges. I started with silver puff paint but I wanted even more sparkle so I added extra glitter on top. You can never have enough, right?! Thank you so much for having me, Jen! I can’t wait to see all the rest. Happy Holidays! Gift giving seasons is here (whether we’re ready or not) and Taryn has some great ideas on How to Create the Perfect Gift Basket! Use her free printable for teachers too! I just LOVE these Concrete Pumpkin Napkin Rings she is sharing on her blog too. So pretty and simple! She also has some amazing Thanksgiving Side Dishes on her blog that I want to try!